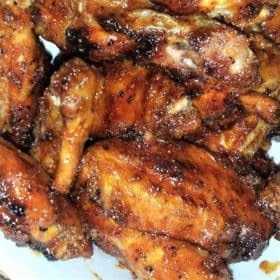 Sweet sugary marinades and glazes can easily burn so caution is advised. The majority of the the sweet glaze is added at the end of cooking to avoid the sugars burning. This main component of any meal can be served with salad, vegetables or even rice. 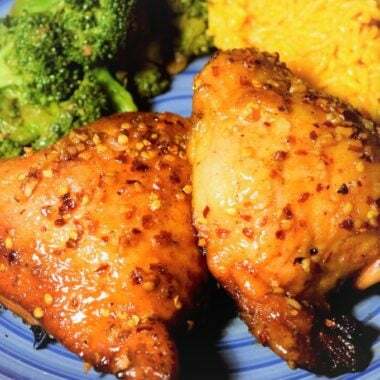 In a pot add the butter, pepper flakes, garlic, honey, chicken rub, and white pepper. Bring the glaze pot to almost a boil, then simmer for 5 minutes. Preheat the grill to a medium/hot temperature, about 375 degrees F (190 degrees C). 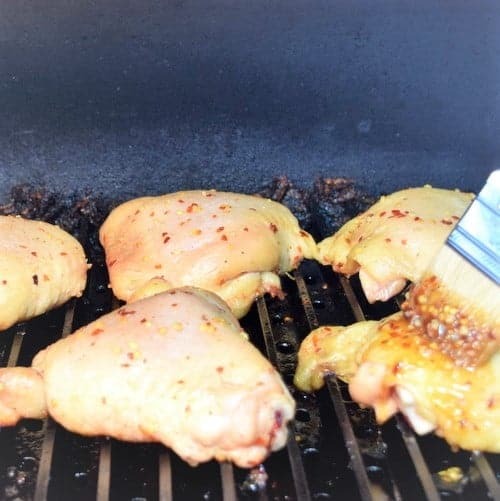 Brush the chicken with the garlic honey glaze, then place on the preheated grill, close the grill lid to let the chicken sit in the smoke. 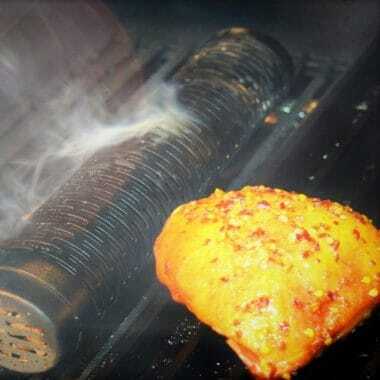 Tip: for additional smoke in the grill, a smoke tube may be added. Cook for 30 minutes, then add another layer of the glaze. 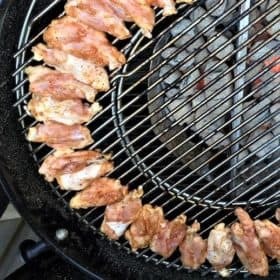 You may turn the chicken or let it slowly cook form one side with the lid closed over the grill. Continue to cook until the chicken is done, 165 degrees F (74 degrees C). If you prefer a thicker glaze it may be added every ten minutes. Note, to have the glaze set, the chicken must cook at least 10 minutes after the final addition. 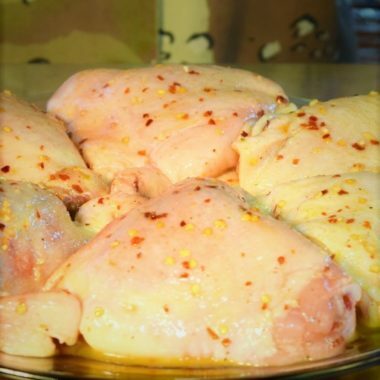 The total cook time for the chicken thighs is typically 65 minutes.